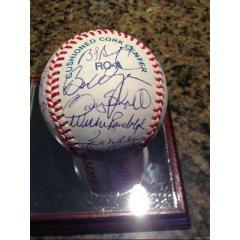 Here's an autographed baseball that will make a nice addition to any Milwaukee baseball fan's collection. 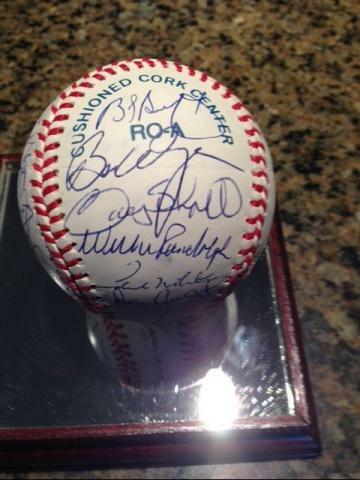 This is an Official AL Baseball (Bobby Brown) that includes the signatures of 24 members from the 1990-91 Milwaukee Brewers. This baseball comes with a worksheet that helps identify the names and placements on the ball, and a Letter of Authenticity from James Spence Authentication. 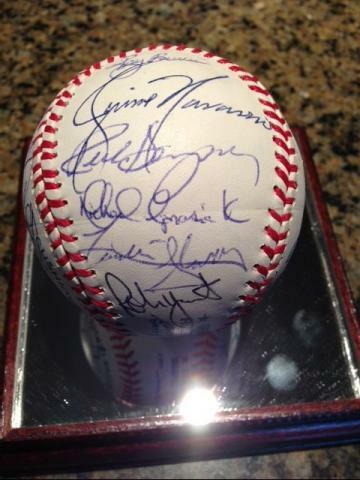 Names on this baseball include Hall of Fame members Robin Yount and Paul Molitor, and key players like BJ Surhoff, Gary Sheffield, Candy Madonado, Rick Dempsey, Willie Randolph, and Franklin Stubbs. Due to the rare nature of this offer we will charge your credit card for the full amount immediately upon taking your order. This policy ensures we reserve the ball for you. We will confirm your order by Email. This ball is not game used. Please allow at least 2 weeks for delivery.